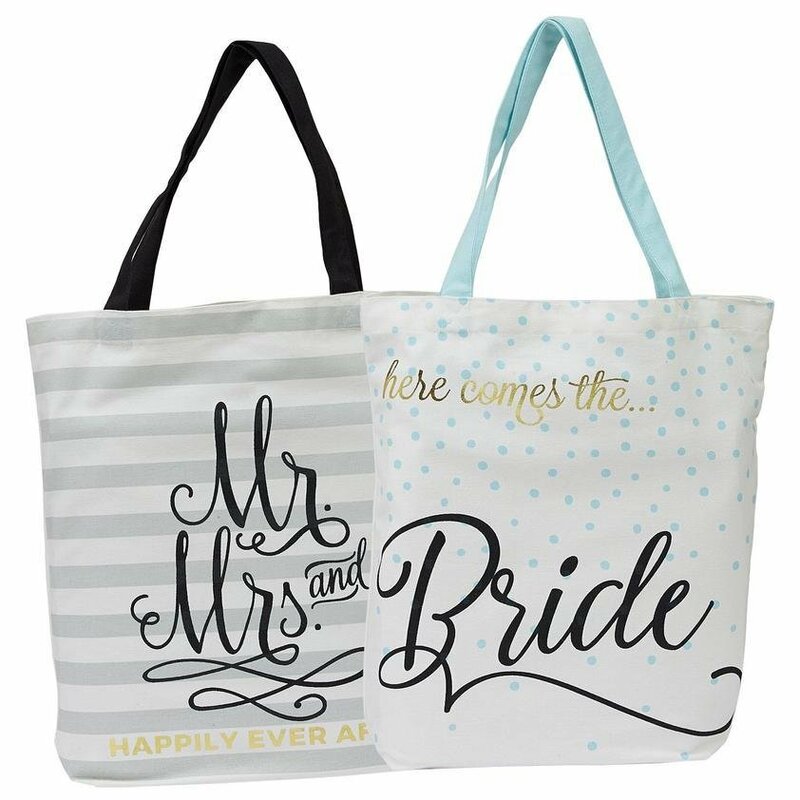 This large and roomy wedding tote comes available with black print script letters displaying Mr and Mrs, Happily Ever After or Here Comes the Bride. Nice for any tropical Honeymoon destination. Our handy tote is large enough to carry all your beach gear. Each tote measures 15 x 15.5 x 4".